The members of Five Americans first met in Durant, Oklahoma at South-eastern Oklahoma State University in 1962. Under the leadership of lead guitarist, Mike Rabon, they formed a group called the Mutineers. The band played local beer joints and frat dances until the summer of 1964, when Mike suggested that they go to Dallas to try and make enough money to pay for tuition for the following fall semester. With the onslaught of the "British Invasion" by bands with strange sounding names, the group also took on a new handle. They were not bugs or beasts of any kind, they were simply, Five Americans. They achieved some local notoriety in a dive called the Pirate's Nook. There, they were discovered by a local record label called Abnak Records. John Abdnor, president of the label, took the group under his wing and provided them the resources to write and practice original songs. 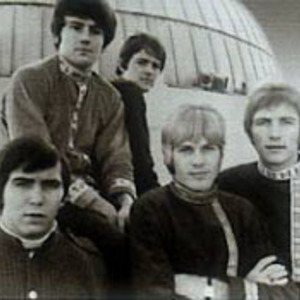 In the summer of 1965, they released an original tune entitled "I See The Light". The song went to the top twenty in Billboard Magazine and paved the way for a string of hits by the five. "I See The Light" was followed by "Evol-Not Love" which also charted in the top 40 nationwide. Then came the biggest hit of all by the band, "Western Union". With Mike Rabon on lead vocal, this song, which was inspired by a Western Union telegram sign, went on to become number 6 on Billboard and number 3 on Cashbox. "Western Union" sold in excess of one million records and paved the way for the group to appear on American Bandstand twice and Where The Action Is 4 times as well as The Steve Allen Show. Other Top 40 entries by the group include "Zip Code," a tune similar to "Western Union", and "Sound of Love." Dominated by high, bubbling organ lines and clean harmony vocals, the group favored high-energy pop/rock far more than British Invasion or R&B-inspired sounds, although a bit of garage/frat rock raunch could be detected in their stomping rhythms. Recording prolifically throughout the last half of the '60s (often with ex-rockabilly star Dale Hawkins as producer), and writing much of their own material. In 1969, after releasing "7:30 Guided Tour", which only made it to 96 on Billboard, the boys simply got tired of touring and of each other, and each went his own way. In five short years the Five Americans sold millions of singles and albums. "Western Union" still gets airplay on oldies radio on average of 5000 times per month in the U.S. and Canada, and as of January of 1998, Western Union achieved the one million mark in airplay according to BMI, Broadcast Music INC.
"Now and Then" a double album, has most of their songs on it, however, the masters were sold to Sundazed Music without The Five American's knowledge around 1985 and finally as of 2001 the members are receiving royalties on the sale of their CDs.